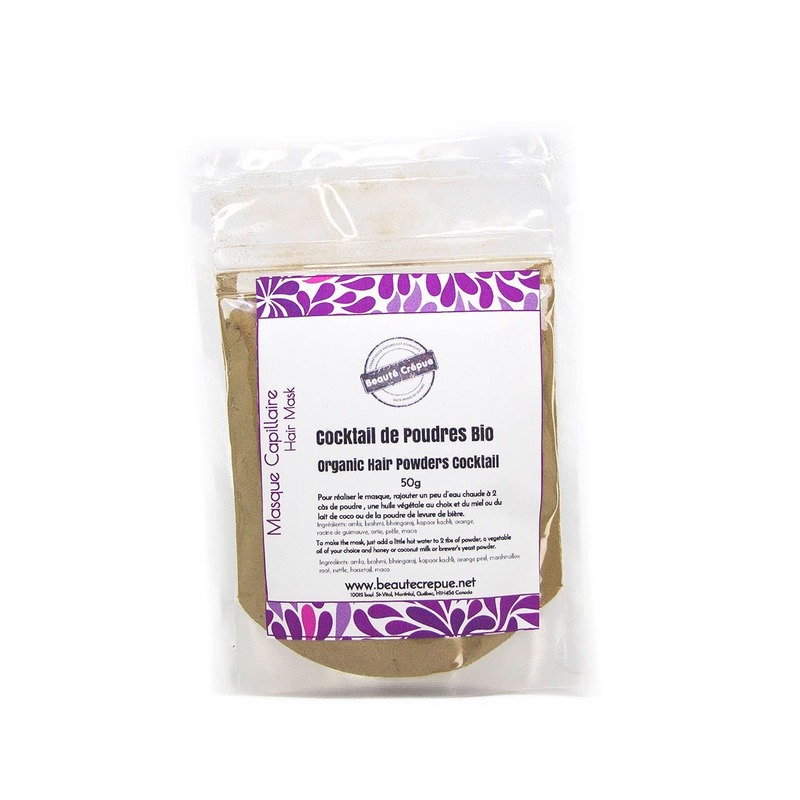 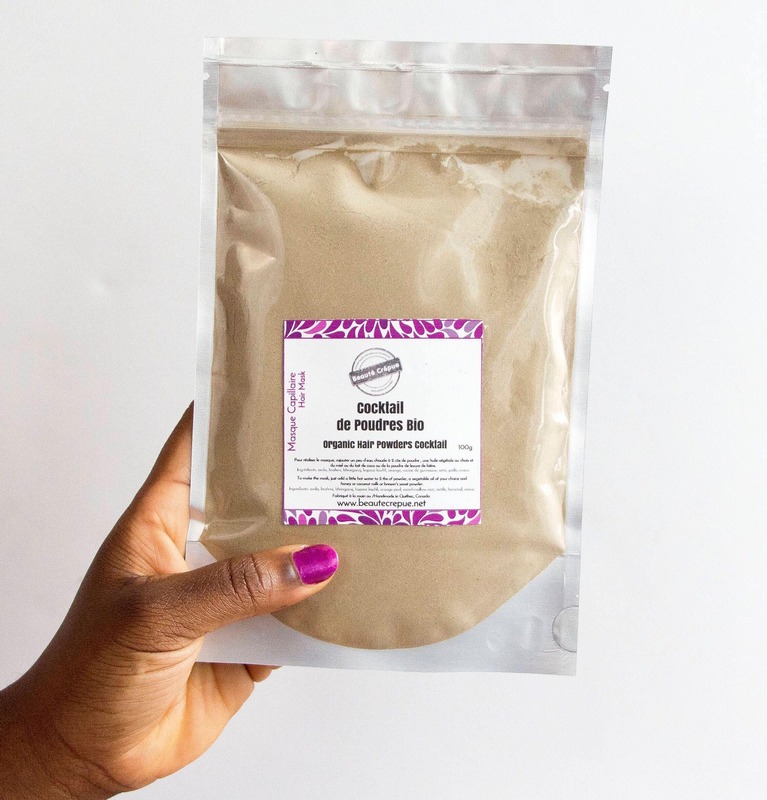 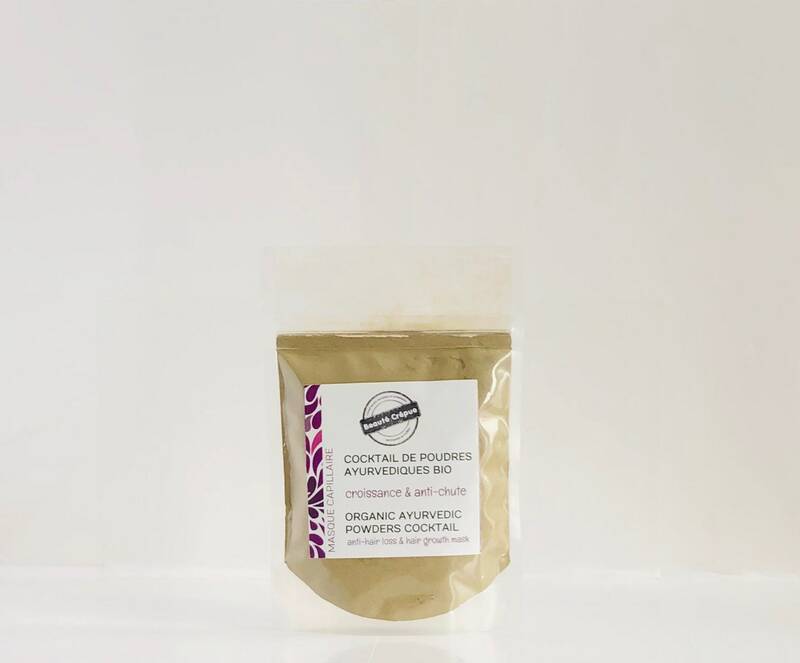 Our organic hair herbal powders cocktail is a blend of organic powders to fortify, stimulate, revitalize and soften the hair. 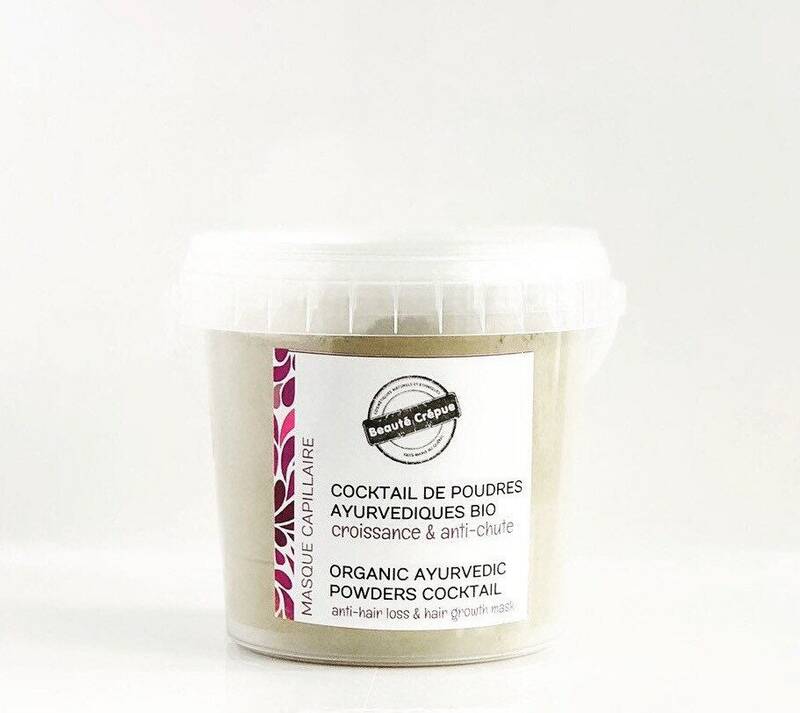 Our cocktail of hair powders brings a lot of volume to fine hair, prevents breakage, accelerates hair growth, increases the resitance of the hair, thickens, detangles, beautifies and purify the scalp. 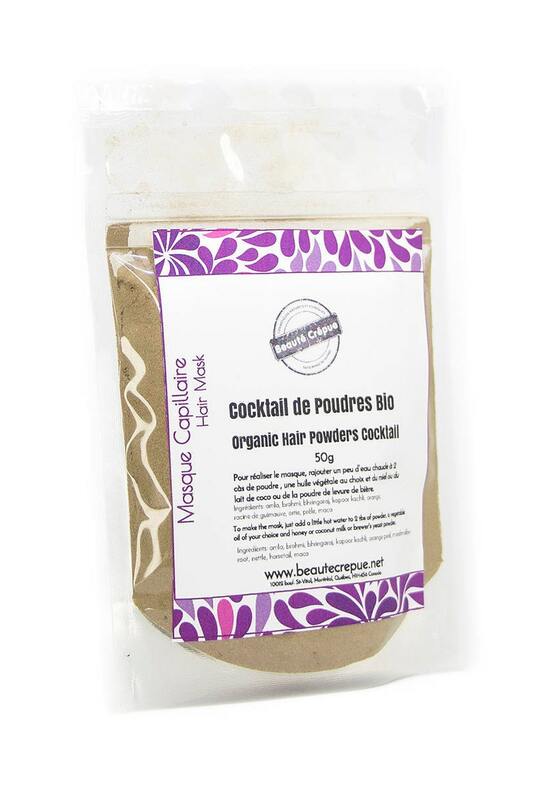 It is used as a hair mask once or twice a month. 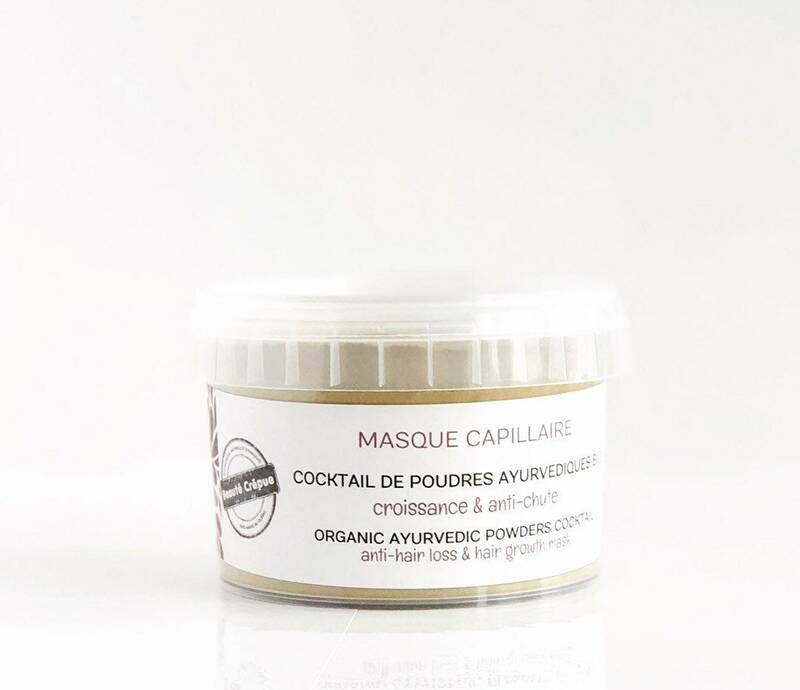 To make the mask, just add a little hot water, a vegetable oil of your choice and honey or coconut milk or brewer's yeast powder. 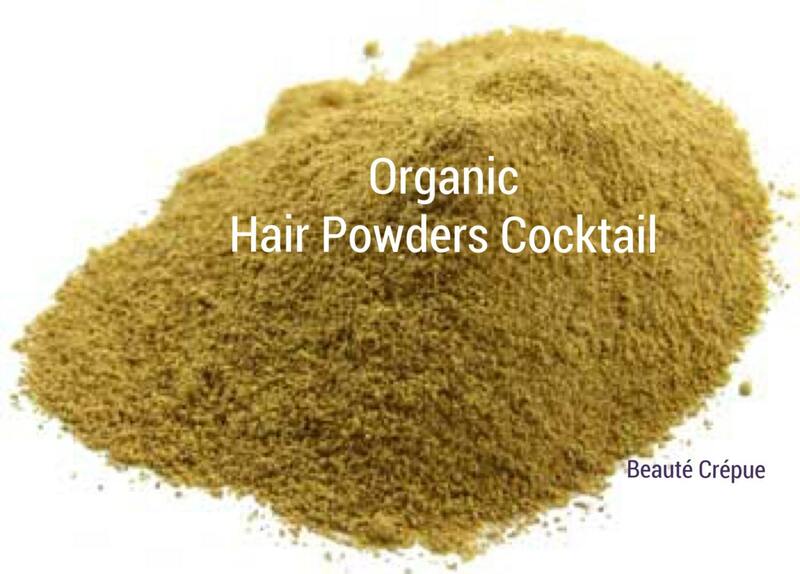 It contains organic powders of: amla, brahmi, bhringaraj, kapoor kachli, orange peel, marshmallow root, nettle, horsetail, maca.